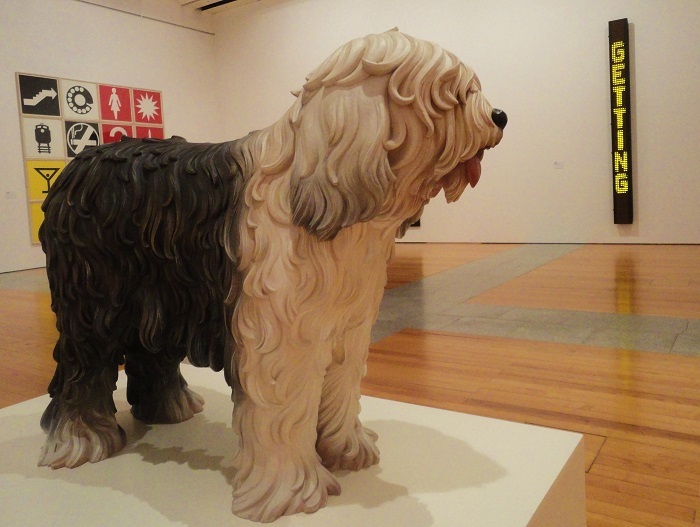 Lisbon and the Sunny Coast: Jeff Koons' "Bob Tail"
How cute! There's a big dog similar to this on the route where we ride our bikes. He barks and runs to follow us behind a fence...what's really funny is that sometimes the gate is wide open but he never comes out - just runs past it! Interesting how it's white in front, dark in the rear! Oh, what a cutie and such a fun shot for the day!! Just the smile I needed to start this gray, gray day!! Have a great weekend, Jose!! I've seen an exhibit of his here. It certainly is eye opening. How he got famous with his art amazes me. Love the Old English sheepdog sculpture.